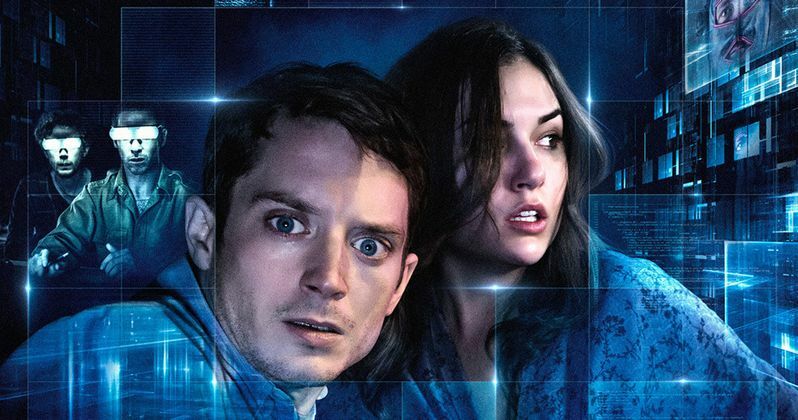 Cinedigm has released the first clip from their new thriller Open Windows, starring Elijah Wood and Sasha Grey. The scene features Nick (Elijah Wood) unwittingly spying on actress Jill Goddard (Sasha Grey), who is the target of a sinister hacker. Director Nacho Vigalondo uses a unique visual language with webcams and surveillance video to tell a nail-biting story in real time, all from the framework of the laptop of Elijah Wood's character. Take a look at this scene before Open Windows debuts on VOD formats October 2 and in select theaters on November 7. Oscar-nominated writer-director Nacho Vigalondo (The ABCs of Death, Timecrimes, V/H/S Viral) creates an action-packed world of voyeurism and suspense in his thriller Open Windows. Nick (Elijah Wood, Maniac, The Lord of the Rings) is excited to discover that he's won a dinner date with his favorite actress, Jill Goddard (Sasha Grey, Would You Rather, The Girlfriend Experience). But when Jill refuses to honor the contest, her manager Chord (Neil Maskell, Wild Bill, Pusher) makes an offer he can't refuse: the ability to view Jill secretly via computer. Nick begins watching the unknowing star on her webcam, not realizing that this decision will put both himself and Jill at risk as they enter a terrifying world of cat-and-mouse where nothing-and no one-are as they seem.